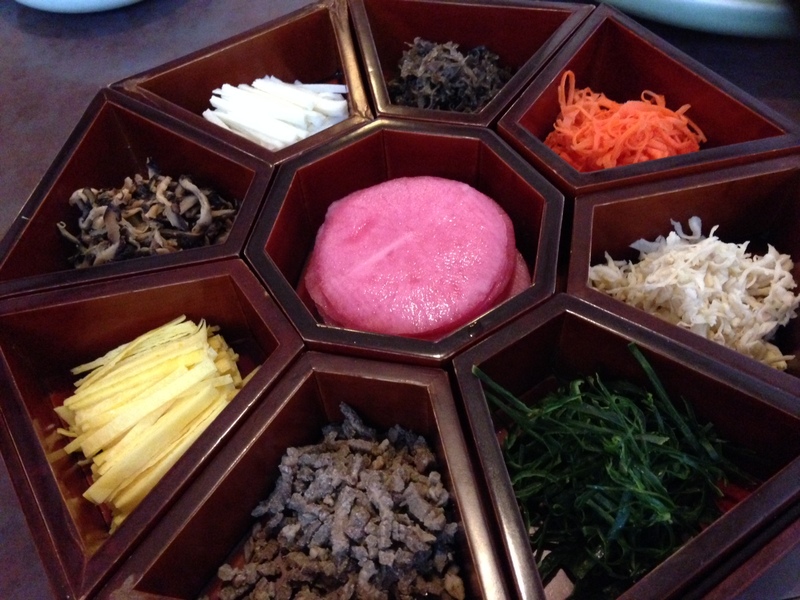 Gujeolpan refers to either an elaborate Korean dish consisting of nine different foods assorted on a wooden plate with nine divided sections in an octagon shape or the plate itself. The name is composed of three hanja words: gu (구, “nine” ), jeol (절, “section”), and pan (판, “plate”) in Korean. Foods are separated by color and ingredients, and comprise various namul (seasoned leaf vegetables), meats, mushrooms, and seafood items. 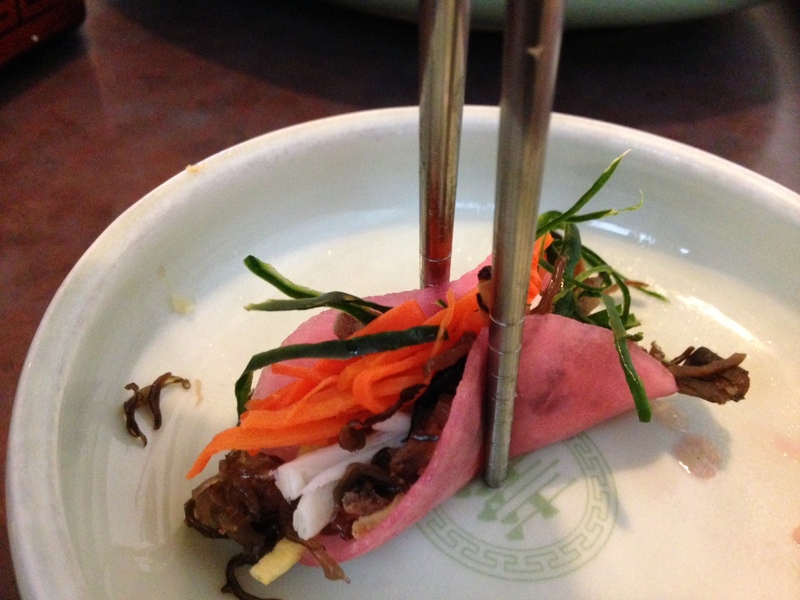 The history of gujeolpan dates back as early as the 14th century in which it has become closely associated with the Choson royalty.